Last week marked one year since I first began eating according to a paleo template. One wonderful year of paleo-esque eating. Happy Paleoversary, me! It all began with an innocent week without wheat, and the positive results were so immediate and astonishing, that I dove head-first into a 30-day paleo challenge. I enjoyed feeling like my body was functioning as it should--better than I knew it could--and it was still new, so I kept it up for the next few months, with a few non-paleo treats on rare occasions. Then I became a bit lax, a bit lazy, a bit "why can't I have that," although I never reverted back to the Standard American Diet. Grains are no longer something I eat daily or even miss. I've remained mostly gluten-free and paleo; nowadays, I'm pretty consistent, but do still enjoy a sweet treat now and again. No matter what is on my plate, the end result after a year is that I have become VERY aware of how certain foods affect me. The fluctuation in my adherence to the dietary template has made me very self-aware. When I get a dull but persistent headache, I probably had a TON of nuts the day before. When my hand eczema flares up, it's typically because I just ate wheat. Rice, while sometimes harmless, tends to give me stomach cramps. Too much sugar--whether in a chocolate or in dried fruit--makes my head feel foggy. That is my big take-away: The one lesson I've learned the most over this past year that I'd like to impart on you: food affects everything. The food you eat--that you put into your body--will impact not only your weight, but also your skin, your mental clarity, your stomach comfort and bloating, your energy and fatigue, your sleep, your headaches, your health and immunity, chronic diseases... really it just goes on and on. Take NOTHING for granted. You are not necessarily doomed to whatever condition it is that you believe or your doctor has diagnosed you to have. Food has an influence. Food can help or hurt. Food matters. Choose wisely. What are you putting into your body? Whatever it is that you choose to eat, I dare you to take notice of how you feel over the following hour, day, or week. If you frequently experience an unpleasant bodily phenomenon (headaches, gas, joint or muscle pain), start a food journal and see if you can link it to a certain food. If you've got a chronic disease--big or small--ask your doctor and do some research about dietary changes that have resulted in success stories. Overall, acknowledge the importance of food. "Paleo" is simply a commonly used name to describe it; it is not a "fad diet" that you pay for and get a calorie limit and simple, non-adjustable food lists. Sure, there are foods that the paleo, primal, ancestral, evolutionary... template avoids, but those foods are not even regarded as foods. This approach simply looks at food, as given by nature, and lets you eat whatever and however much of it makes you feel good. It's not a prescribed diet, and not everyone who "eats paleo" eats the same things in the same way. It is not meant to be a 30-day fix, after which you can go back to your old ways; it is meant to be a way of life for long-term health. Just that--it's about health! If you're very unhealthy and need to lose weight, you likely will on a paleo diet, but weight loss is not the focus. It's health. With health, comes a healthy weight, but overall the focus is on general well-being. As mentioned above, it's personal. Each individual's "paleo" experience may be different, depending on your goals and your body. As Diane Sanfilippo in Practical Paleo outlines, different goals (athletic performance, fat loss, autoimmune condition relief) require different templates. Robb Wolf always advocates the "n=1=YOU" principle, where you conduct dietary experiments in which YOU are the subject. What works for you, works for you! Mark Sisson's Primal Blueprint 90-Day Journal is designed to help you learn what helps you thrive. 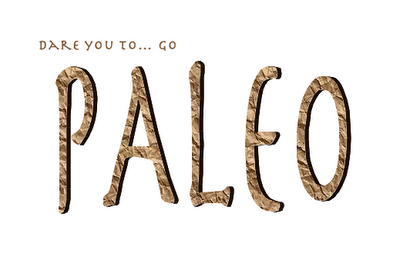 Paleo/Primal is all about you. It's not meant to be cute. It's not a "Caveman Diet" that's designed for the sole purpose of eating and acting like our ancestors. Sure, it works to do so, because they obviously lived well enough to reproduce generation after generation, until this day. It's only recently that we began creating and consuming franken-foods to derail our health efforts. However, a primal eating plan isn't based only on the fun idea of copying cavemen. It is biologically-based. Seriously. Listen to Robb Wolf speak and you'll get it (probably because you won't). This is SCIENCE, not a fun fad. Pardon my rant. For more information, check out my Paleo Tab above. It's got plenty of resources, and I'm planning to add more, as I'm constantly reading, learning, listening, and experimenting. Recently, I've been adhering pretty well to my health goals. I now know what works for me and what makes me feel lousy. It's all about knowing the potential consequences and making informed decisions. Over the course of the year, I've also gained interest in the ancestral approach to lifestyle, beyond just food. There's the timing of eating, the quality and quantity of sleep, the functional fitness training, the quality of toiletries and beauty products, spending time in nature, relieving stress, ... and more! Are there any foods you KNOW you have a negative reaction to? Do you feel noticeably better when including or avoiding certain items? Has a particular dietary discovery changed your life? Share below, or dare you to experiment and find out!